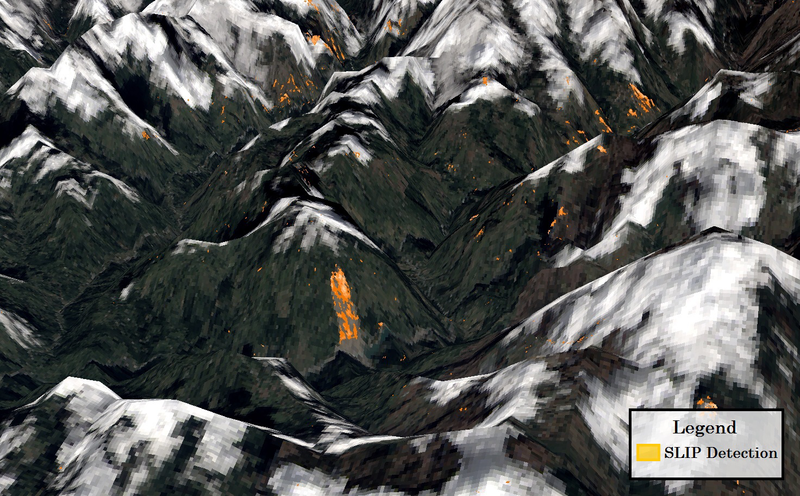 Dec 17, 2015 • Justin Roberts-Pierel from the Joint Center for Earth Systems Technology uses Landsat 8 to detect landslides in the Himalayas. He shared information about his work at #AGU15 this week. We spoke with him about his presentation. 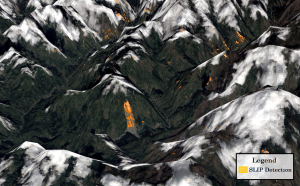 Landsat 8 can be used to map landslides and changes in bare earth in the Himalayan region in near-real time using optical and infrared sensors. The public availability of a sensor with high spatial and temporal resolution makes it possible to create a free and easy to use product that is open to the public globally. This product will help researchers create customized landslide catalogs to help identify landslides much more quickly than visual inspection and in an iterative mode that is not available using most classification software while also being available across operating systems. How will your research help the inhabitants of Nepal and the Himalayan region? Nepal is a hotspot for rainfall induced landslide activity due to its mountainous topography, monsoon rains, and building practices that often weaken surrounding terrain. The Sudden Landslide Identification Product (SLIP) takes advantage of spectral change properties of vegetation, minerals, and ground wetness in near-real time to identify landslides and possible changes in bare earth that may be indicators of future landslides. By automating landslide event detection in a simple cross platform capacity, SLIP has the capability to improve landslide susceptibly mapping and has the ability to advance emergency response and preparedness efforts. This entry is filed under Data, Disasters, Human Health, News.